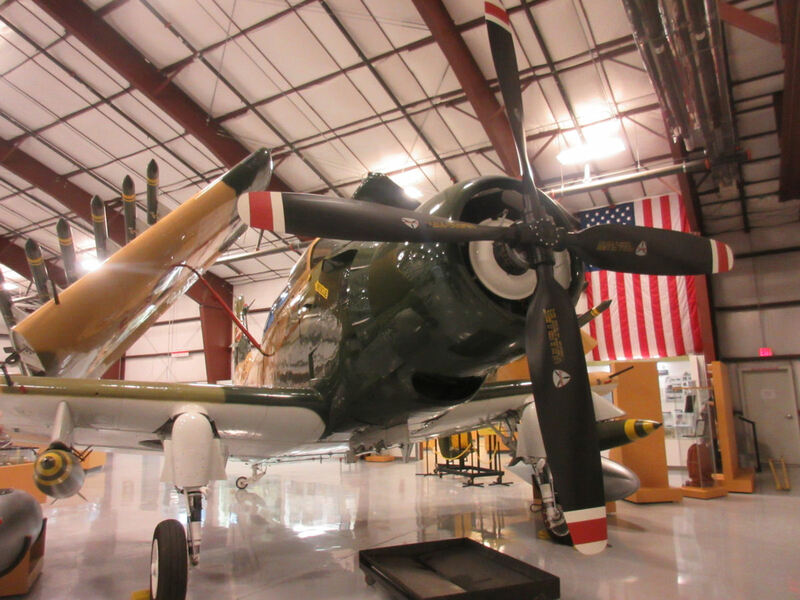 The Springs in Fall — 2015 Photos #22: War Wings II « Midlife Crisis Crossover! 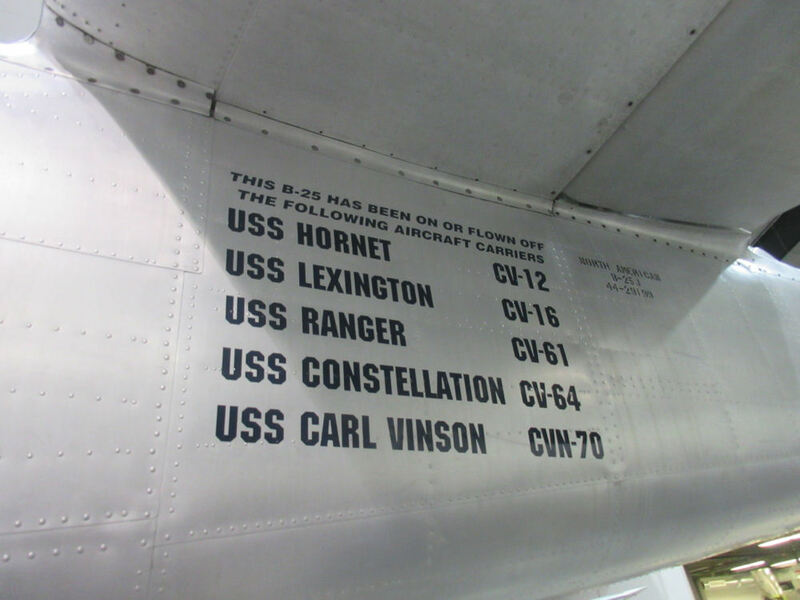 The wing of a Douglas A-1 Skyraider housing presumably unarmed missiles. 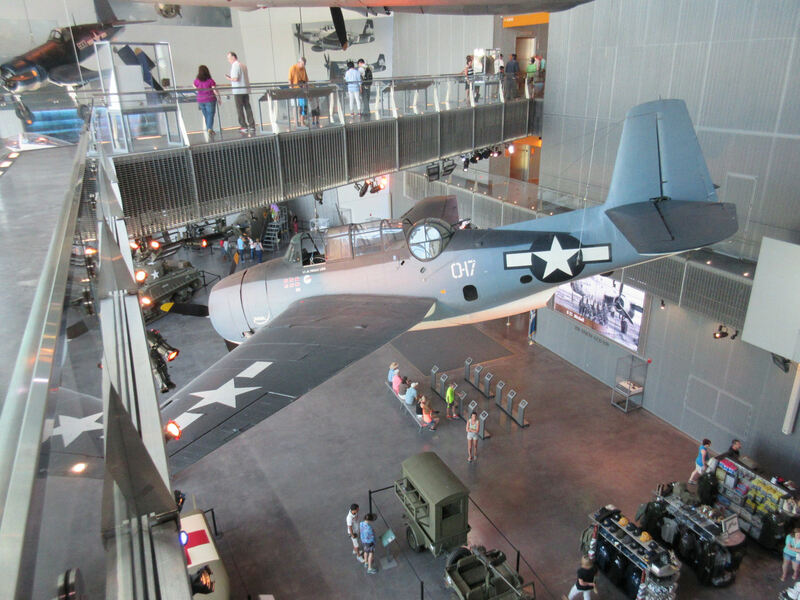 Last July my wife and I had the pleasure of visiting the National World War II Museum in scenic New Orleans, Louisiana. Anne is the big, big WWII buff in the family, but I enjoyed myself well enough to devote four chapters to it in our nearly completed July 2015 road trip series (here, here, here, and especially here). 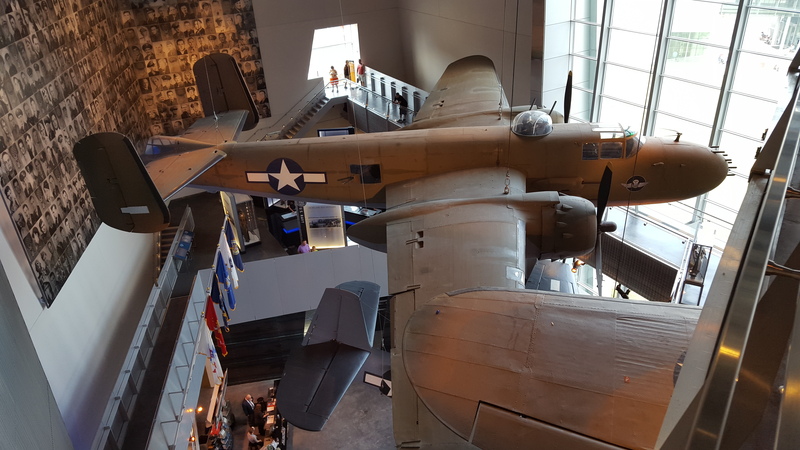 Four months later, I was surprised to discover Colorado Springs has a place that’s the perfect sequel — the National Museum of WWII Aviation. I previously posted about my Day Five visit later that evening from the hotel and used up most of my intro material in that one sitting. The single plane pictured in that entry, their F7F Tigercat, was hardly the only aircraft on the premises. The museum is 30% display cases and 70% actual war planes in various states of disrepair, restoration, and flight capability. Tonight’s presentation, then: another batch of World War II fighter planes to go with our July set. 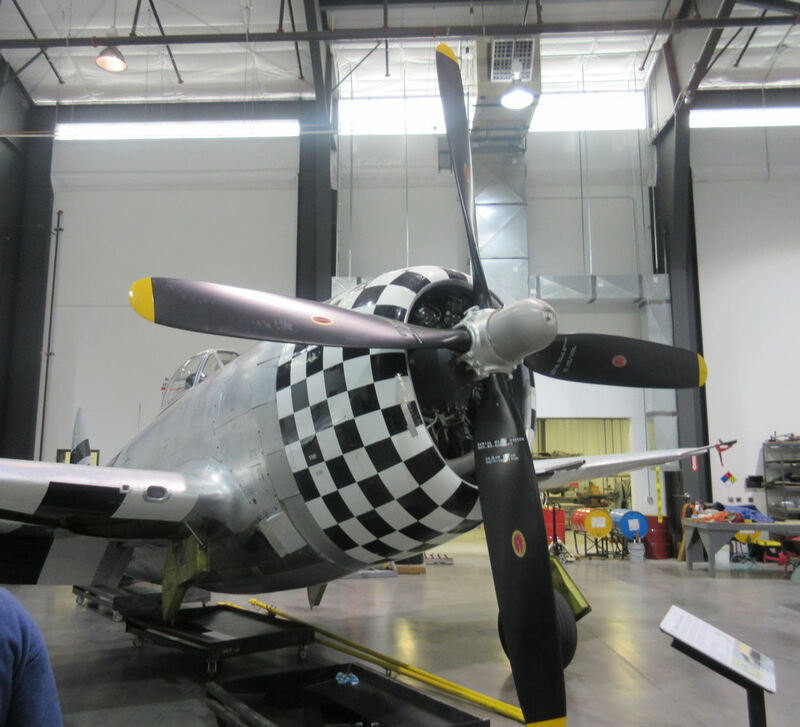 Worth noting: the museum’s restoration program sees planes coming and going once their work is finished, so the planes on hand can vary with each visit. For all I know, the following planes have already been rotated out and replaced with a different assortment. But this gives you an idea of the variety and history, at the very least. 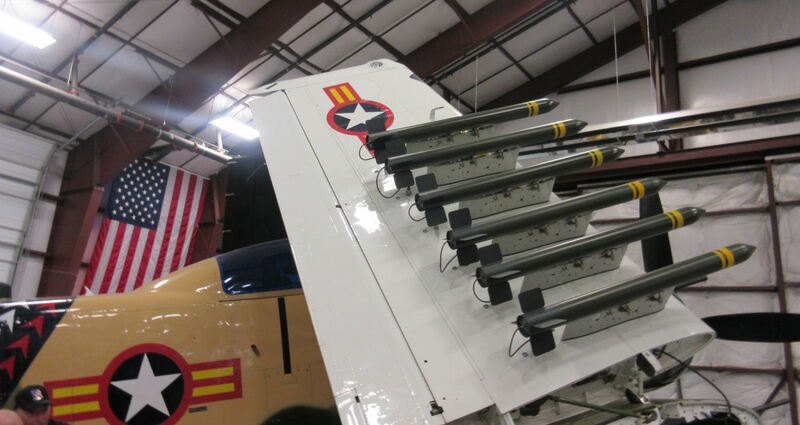 Front view of that same Douglas A-1 Skyraider, a common model in the Vietnam War that could carry four tons of ordnance. 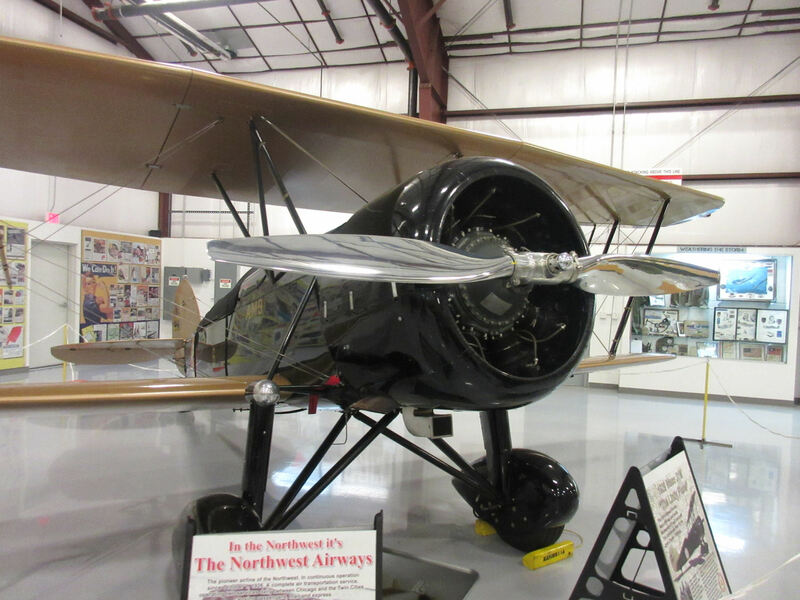 A 1929 Waco JYM, of the kind Charles Lindbergh once flew as a mail plane. Or maybe this was his exact plane. My notes are vague on this point. The majority of this N3N Yellow Peril awaits its remaining parts and perhaps a different paint job. 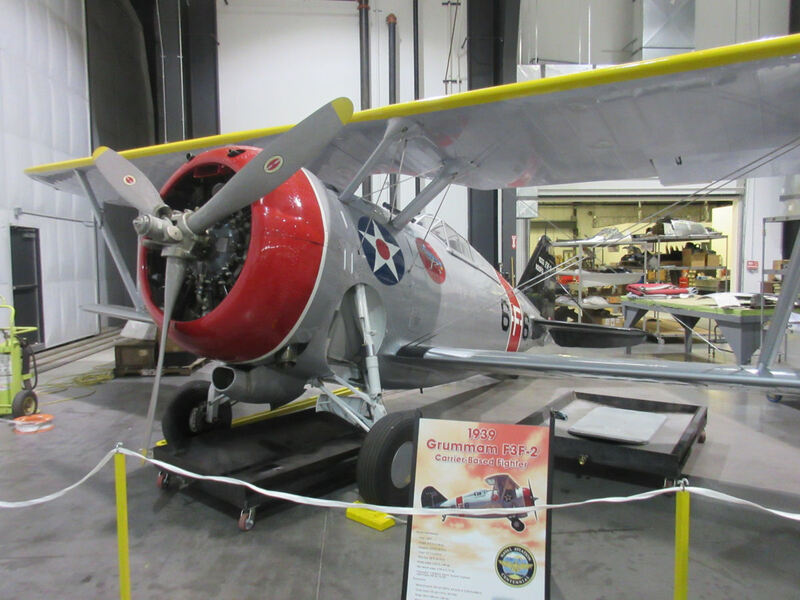 Their planes are housed in two separate buildings. Pictured above were parked in the visitor center where your guided tour begins. Pictured below are certain contents of their larger building out back, where their crews handle all the plane rehab, leaving a few in various states of progress so tour groups can see the steps between “before” and “after”, though a few planes were on the NO PHOTOS list and therefore aren’t here. If you’re curious, you’ll simply have to go see for yourself in person. Sorry! This 1939 Grumman F3F-2 showcases a lapse in aeronautic design that wasn’t discovered till pilots found themselves having to mind their timing very carefully so as not to shoot off their own propeller with the guns mounted right behind it. 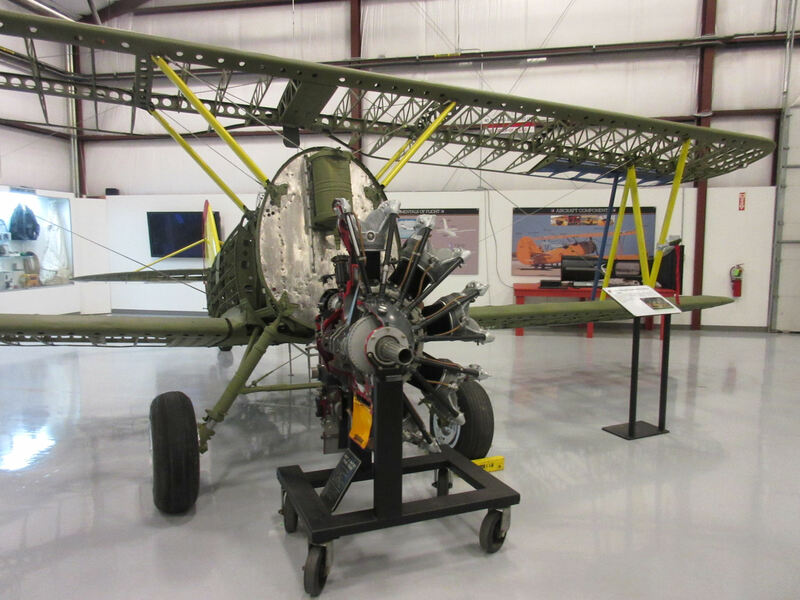 The museum works restoration requests according to the wishes of each plane’s owner. 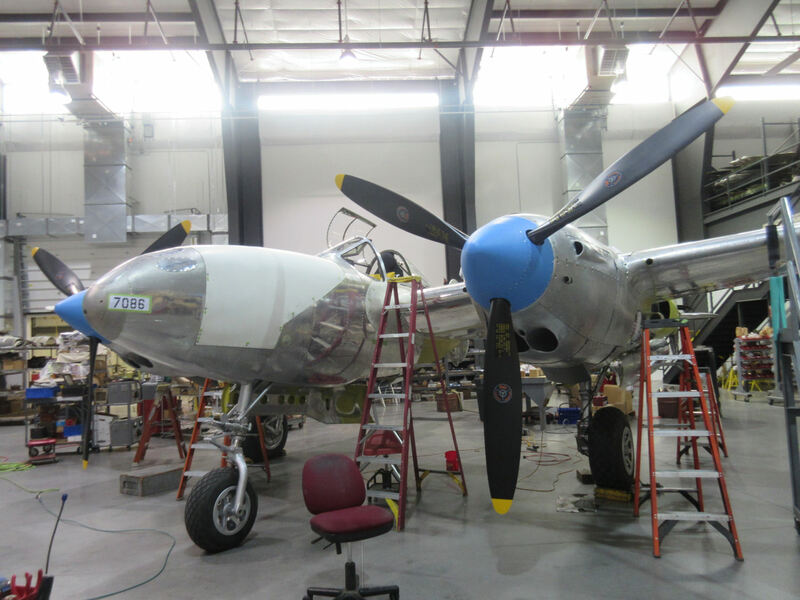 This P-38 is in the middle of being brought up to “legacy condition”, not flying condition. Upon completion this will be merely a display item. 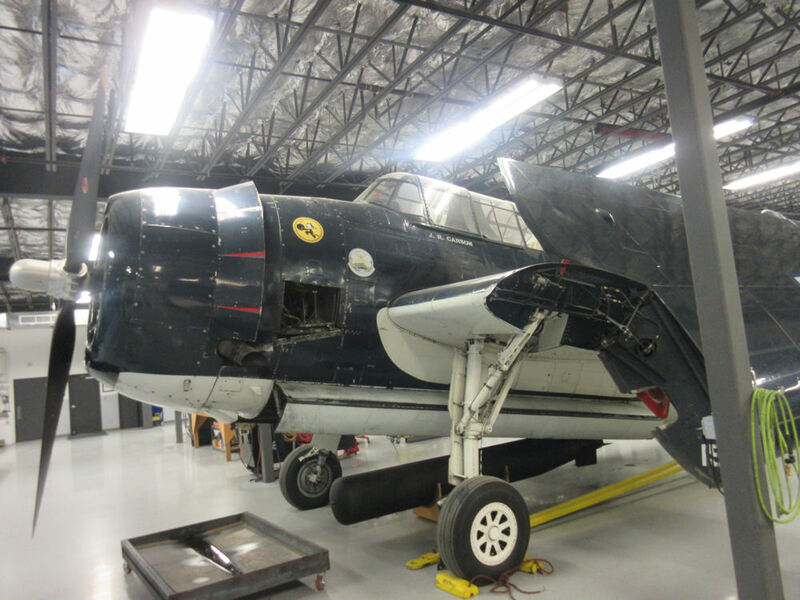 A General Motors TBM Avenger. We saw another of these in New Orleans, albeit with a different color scheme. A P-47D Thunderbolt sporting stylish go-go checks. Its fuselage design made it impossible for pilots to see the runway in front of them when trying to drive forward, so they had to keep making S-turns to see around that obtrusive nose. 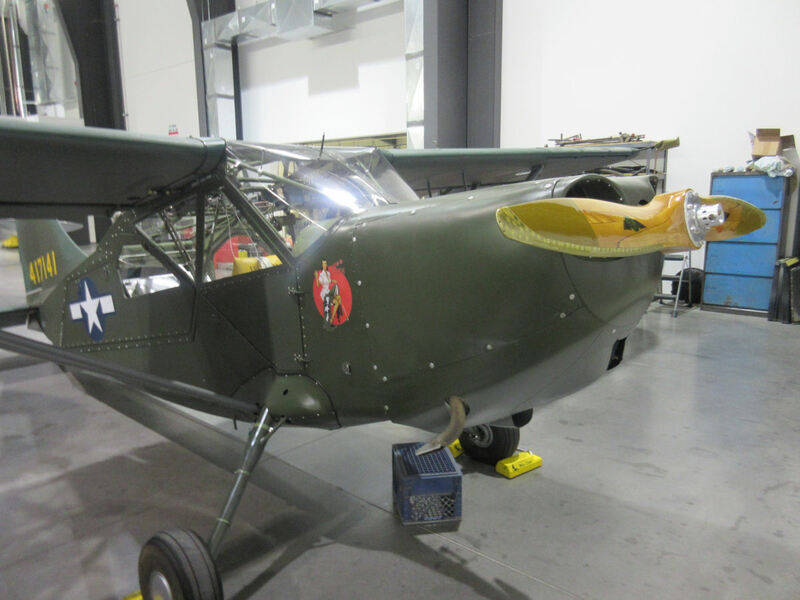 A Stinson Vultee L-5 Sentinel, among the smallest craft on hand. 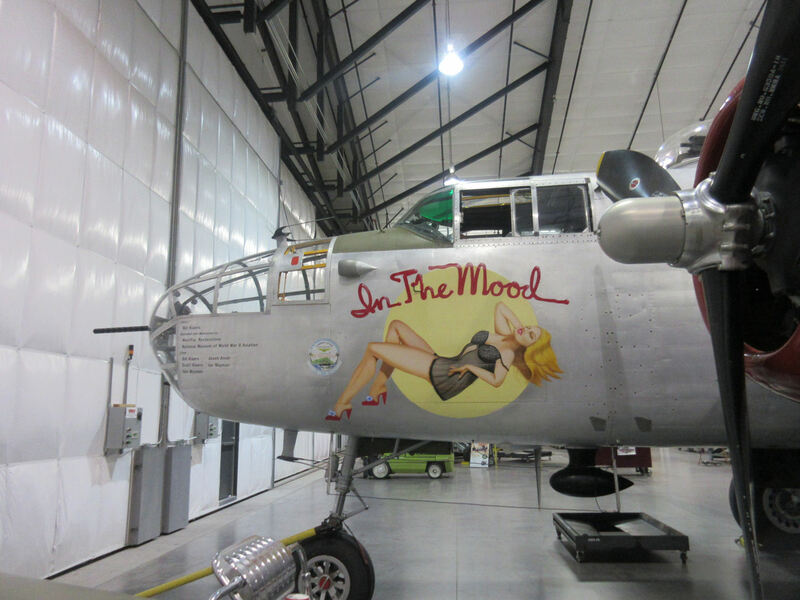 Among the largest: this B-25 Mitchell, another plane with a New Orleans counterpart in alternate colors. 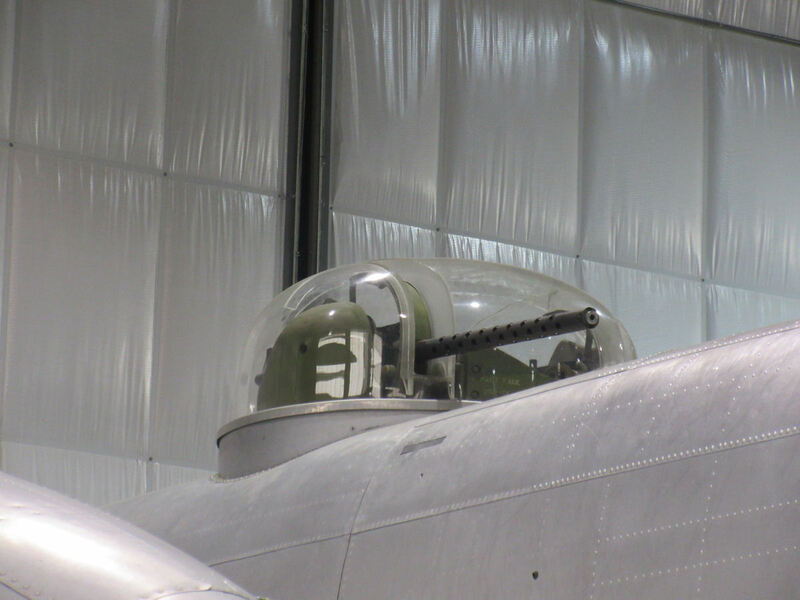 The Colorado Springs edition was much more approachable than NOLA’s, as evidenced by this closeup of the turret that required minimal zooming. 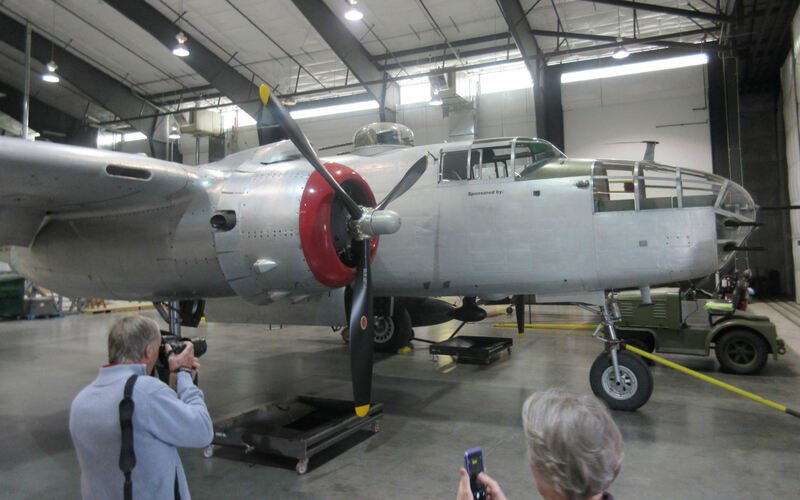 Someone’s been keeping tabs on this B-25’s flight history and travel experience. Also missing from the New Orleans version: an authentic WWII lady painting to confirm this B-25 was probably once flown by a dude.